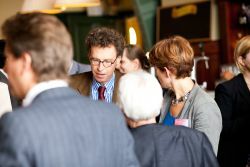 On 23-24 June 2011 the workshop “Governance Meets Law” took place at Het Kasteel in Groningen. 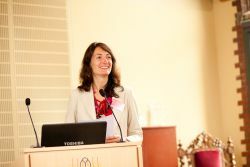 The event was organised by the Groningen Centre for Law and Governance (GCL) and the Endowed Chair Law and Governance, Prof Dr Aurelia Colombi Ciacchi. Thirty-two experienced scholars from different disciplines (law, political science, philosophy, management studies) and different countries (The Netherlands, Canada, France, Germany, South Africa, Sweden and the UK) participated as speakers. Most of them were professors or visiting professors at the University of Groningen. 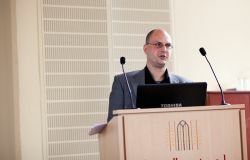 Comparative comments were given by Richard Neerhof from the VU Centre for Law and Governance at the Vrije Universiteit Amsterdam (VUCLG). 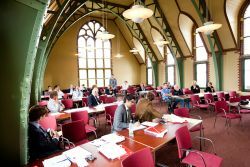 GCL and VUCLG together coordinate the Netherlands Institute for Law and Governance (NILG). The workshop was aimed at analysing the concept of governance and four relationships between law and governance: governance as law, governance in the law, governance through law, and governance against the law. These governance dimensions of the law were exemplified with regard to a broad spectrum of legal disciplines: legal theory, legal philosophy, legal sociology, EU law, international law, private law, criminal law, constitutional law, administrative law, labour law, tax law, medical law, and law and technology, in particular internet law. The variety of angles from which the relationship between law and governance was explored, gave rise to a lively debate and a very fruitful exchange of thoughts. The workshop was conceived as a discussion platform for the preparation of a book in the English language which is expected to be published in 2013.